Building on the momentum from February’s Operation Black Ice, Ubisoft has teased plans to unveil the season 2 DLC for its tactical shooter, Rainbow Six Siege. Word comes by way of Twitch, where the publisher is set to host a livestream on Friday, April 22 that will include “a special reveal for Season 2 during the 22APR Pro League live stream.” It’ll switch gears and ship agents to the United States, with further post-launch plans for season 3 and season 4 set to open up Brazil and Japan, respectively. Much like Operation Black Ice before it, Siege‘s imminent season 2 will bring about two new playable characters, a new map, additional weapons and other new content and cosmetics that will be available to purchase via the shooter’s in-game currency. 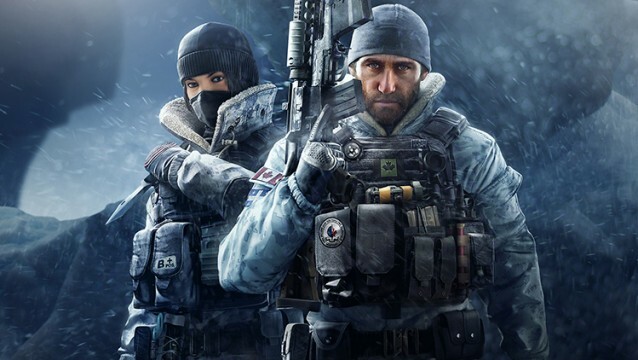 For now, it’s due to arrive sometime before the month’s end, though considering that Operation Black Ice was hit with a last-minute delay – pushing it from January to February – don’t be too surprised if that shift in production has a ripple effect on Ubisoft’s sophomore content drop. 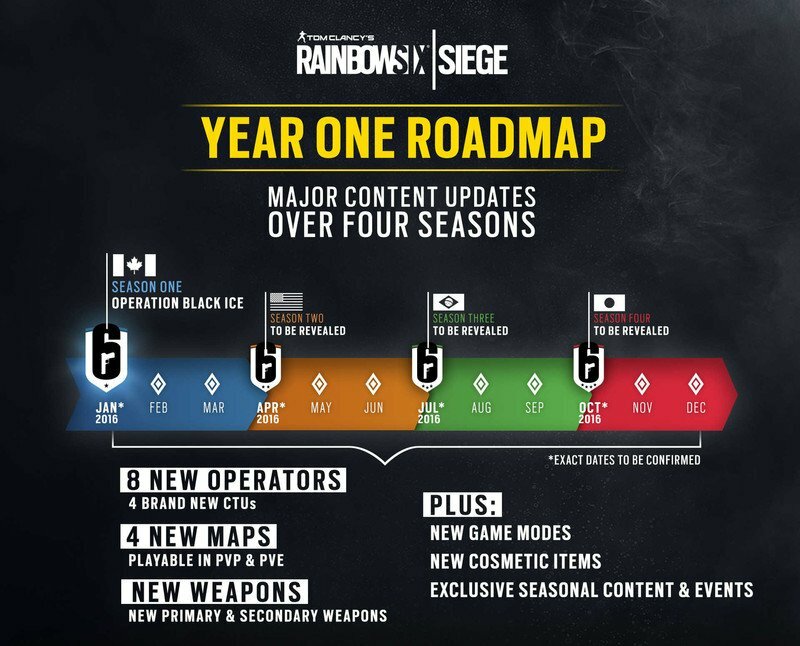 Season 2 for Rainbow Six Siege players will run through May and June, with the third content pack expected to premiere in July, when agents will be spending the summer months in Brazil. A detailed breakdown of the shooter’s Year One Roadmap can be found below.